Posts tagged with "iOS 10"
The latest update to iOS, version 10.3, was released publicly today. 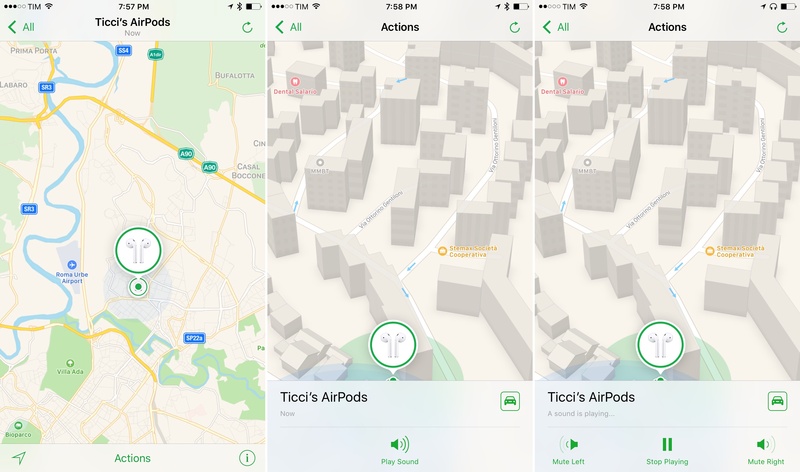 The update's hallmark feature is the addition of AirPods into the Find My iPhone app. Besides that, there is a new standardized format for in-app review prompts, and a number of other improvements. In addition to a new warning displayed upon launching an old 32-bit app for the first time, it appears that iOS 10.3 will also include a Settings page listing legacy apps that "will not work with future versions of iOS". In the Settings app, there's a new "App Compatibility" section that lists apps that may not work with a future version of iOS. Tapping on one of the apps opens it up in the App Store so you can see when it was last updated. As has been discovered in previous betas, opening one of these apps on your iOS device pops up a warning with a similar non-compatible statement. 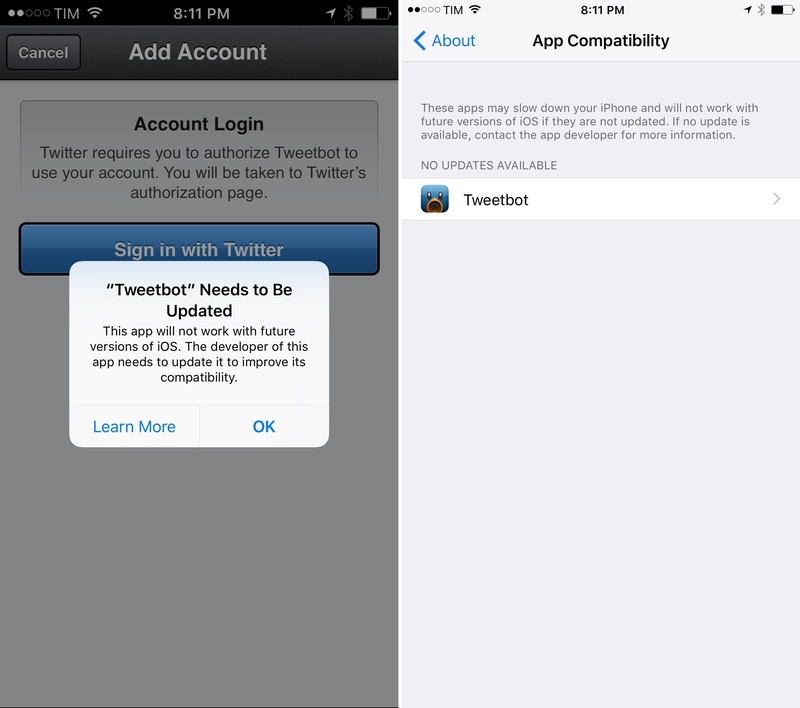 App Compatibility can be accessed by opening the Settings app and choosing General --> About. From there, scroll down to "Applications" and tap it. 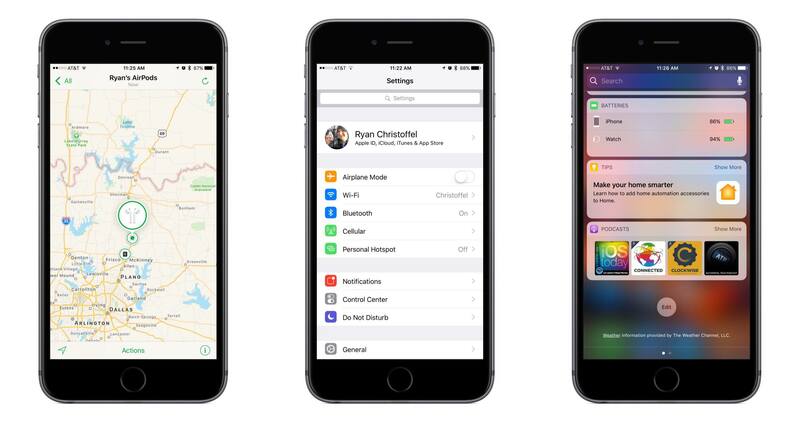 It's not clear whether these warnings will make it into the final release of iOS 10.3, but they're a strong sign that developers should prepare for stricter 64-bit requirements in iOS 11. I would love to see iOS 11 bringing subtle touch down animations to standard system elements, such as navbar buttons, table view cells etc. By doing it to the default components, third party apps would be affected by it as well. This would make for a consistent and more compelling experience when touching iOS. And that sense of stiffness would be replaced with a much more fluid experience. I like this idea. Apple Music's new play button has a great touch-down state – I wish more parts of iOS followed the same approach. Rich notifications and stickers in Fantastical 2.8. With a new version released today on the App Store, Flexibits updated Fantastical – the popular calendar client with natural language input – to include deeper support for iOS 10 and the iPhone 7. 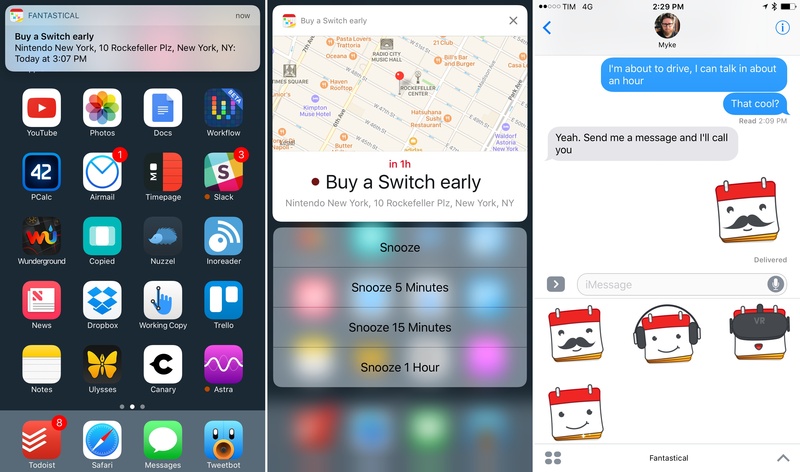 Version 2.8, available on the iPhone and iPad, adds new iMessage stickers using the app's icon as the main character in different expressions, haptic feedback on the iPhone 7, and, more importantly, rich notifications for calendar events and reminders. In addition, App Store reviews can be marked as ‘Helpful’ using 3D Touch from an iPhone, which is a first. These limits strike me as fair and should help prevent the new app reviews API from being abused. Find My AirPods in iOS 10.3. Apple seeded the first beta of its next major iOS update, iOS 10.3, to developers earlier today. Following updates that focused on photography and emoji, iOS 10.3 will bring a variety of enhancements and tweaks to system apps and services, although it appears to be lacking any meaningful (and highly anticipated) iPad improvements. I wasn't sure I needed a 12.9-inch iPad when Apple announced the iPad Pro in September 2015. And yet, over a year later, the iPad Pro is, by far, the best computer I've ever owned. I've never felt so satisfied with any other Apple device before – but the transition wasn't easy. After years spent adapting what I learned from the Mac to bring it to iOS, what I found on the other side was a more focused, efficient way of working and communicating with people. The iPad Pro accelerated my move to an iOS-only setup; today, I genuinely don't know how to perform certain tasks on a Mac anymore. I use my iPad Pro for everything. It's my writing machine and favorite research tool, but I also rely on it to organize my finances, play games, read books and watch movies, program in Python and Workflow, and manage two successful businesses. While I've been advocating for such multi-purpose use of the iPad platform for a while, the iPad Pro elevated the threshold of possibilities, reaching an inflection point that has pushed others to switch to an iPad as their primary computer as well. Much of the iPad's strength lies in iOS and its app ecosystem. If Apple were to stop making iPads, I'd still prefer to work on a device that runs iOS rather than macOS. iOS is where app innovation happens on a regular basis with developers one-upping each other in terms of what software can achieve; I also prefer the structure and interactions of iOS itself. The iPad Pro is the purest representation of iOS: it's a computer that can transform into anything you need it to be. Even if this discussion was settled a long time ago, it bears repeating: millions of people today like working on iOS more than they do on macOS, and the iPad Pro is the best machine to run iOS. There is no sarcastic subtext about the Mac here, which is still a fantastic environment that many Apple users love and need for their line of work. The Mac and the iPad can coexist in a market where customers believe one is superior to the other. I prefer working on the iPad; others like their Macs more. And that's fine because, ultimately, the Apple ecosystem as a whole grows stronger and we all reap the benefits. The iPad Pro is the purest representation of iOS. Over the past year of daily iPad Pro usage, I've made it my personal goal to optimize my iPad workflows as much as possible. This is one of the best aspects of the iOS platform: competition between developers is fierce and you can always choose between different apps to get work done – apps that are improved on a regular basis and are constantly updated for the latest iOS technologies. With enough curiosity and patience, iOS rewards you with the discovery of new ways to work and save time. Since my last iPad story in February, I've taken a hard look at my entire iPad setup and rethought the parts that weren't working. I tried new apps, created new automations, and optimized every weak spot I could find. I improved how I collaborate with my teammates and produce weekly content for Club MacStories members. 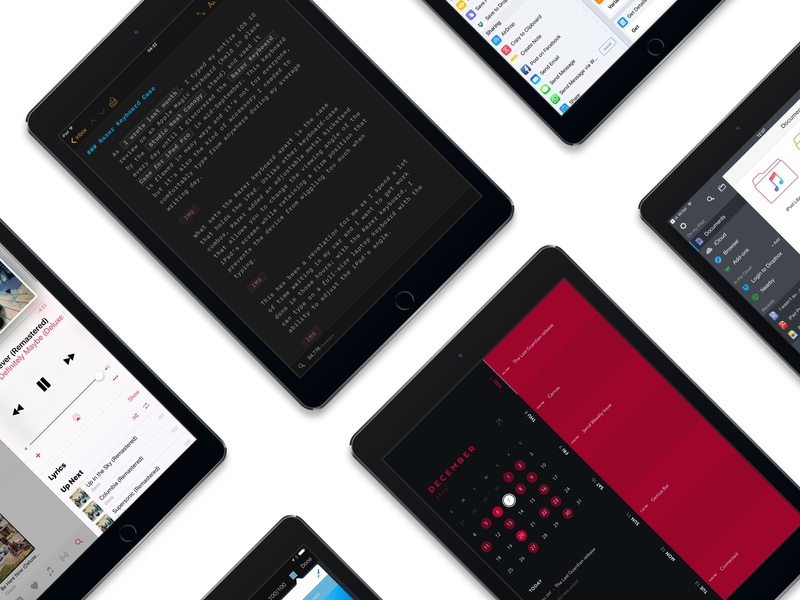 Thanks to the time I invested in understanding and fine-tuning my iPad Pro, I was able to embark on more projects, double MacStories' growth, and manage a larger team. As a result, my iPad Pro today is noticeably more capable than it was a year ago – all without the need for a hardware refresh. Today Apple released tvOS 10.1 and iOS 10.2, both of which bring several additions to the operating systems. Chief among all additions, the clear centerpiece of these updates is a brand new app called TV. When Tim Cook announced this app onstage earlier this fall, he plainly stated its purpose: TV exists to create a unified TV experience, one place to access all TV shows and movies. Does it succeed? Is this the best television experience available today? Before answering those questions, it's important to consider the history of underwhelming television endeavors that brought Apple to this point. Steve Jobs introduced the first Apple TV set-top box over ten years ago, in September 2006. That product unveiling came at the tail end of a keynote focused on the iPod and iTunes, where Jobs announced the additions of Movies and TV Shows to the iTunes Store. At its birth, the Apple TV was not meant to revolutionize television; it was made to support the iTunes ecosystem Apple was building. Throughout its first three iterations, the Apple TV was never a hallmark product like the iPod, Mac, or iPhone; it was simply a hobby for the company. It was Apple dipping its toes in the TV market. But the fourth generation Apple TV represented a shift. With modern hardware, a new operating system dubbed tvOS, and a vision that the future of TV is apps, Apple dove full force into the television market. It set out to create the best TV experience possible. 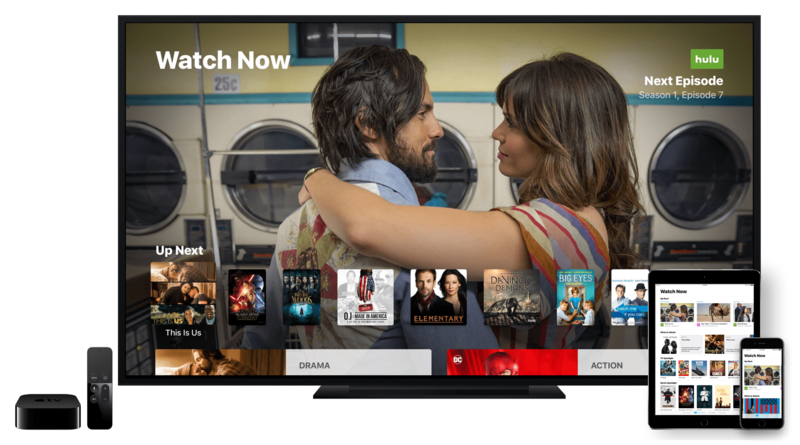 The newly released TV app is a significant step forward in realizing that goal. TV is intended to address a modern issue. While the future of television may be apps, up until now Apple's implementation of that vision has been lacking; it's been lacking because the more video apps you have, the more navigating it requires to find the content you love. More time navigating means less time watching. TV was built to solve this problem. The TV app on tvOS and iOS centralizes content from a wide array of video apps in one place, presenting that content in a simple and familiar interface. No one wants to juggle an assortment of video apps, jumping from one app to another to find the content they're looking for. We've all learned to tolerate it, but none of us wants it. So Apple built TV to be the new hub of our video-watching life.